Records can ONLY be released upon PAYMENT IN FULL of all debts to the Institute. 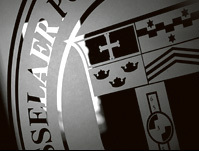 Information, grades, transcripts or diplomas (to be referred to hereon in as “records”) remain the property of Rensselaer Polytechnic Institute until the student has met all academic requirements and is in good financial standing in accordance with Rensselaer policy. If you are actively registered or have graduated or separated from Rensselaer, you are entitled to have access to “records” if you have met all these requirements. Good financial standing means that you must be paid in full with all tuition, fees and miscellaneous charges owed to the Institute. All loan obligations including but not limited to institutional, federal, state and local loans that you accepted while enrolled at the Institute at any time must also be satisfied and paid in full. Any outstanding debt (tuition, fees, miscellaneous charges and/or loans) of any amount will result in a hold on your account and prevent the release of “records”. You may contact the Bursar’s Office or if applicable a collection agency or loan service provider if your debt was referred to a delegated authority for additional collection efforts, to enter into a mutually agreed upon installment payment arrangement to satisfy a debt. Entering into a payment plan of any type will not, under any circumstances, provide the immediate release of “records” until the full satisfaction of those arrangements and subsequently the debt is paid in full. Remember, records will ONLY be released upon PAYMENT IN FULL of all debts to Rensselaer.